For all the hockey reasons in the world I really like the Bruins signing free agent David Backes earlier today. For all the economic reasons involved with how the salary cap does and doesn’t work, I struggle with it. 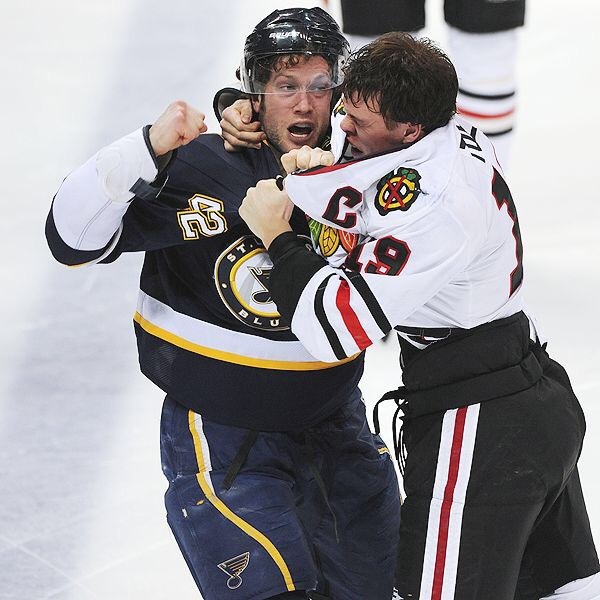 David Backes should be a fantastic fit with the Black n’ Gold. Just over a month ago he captained a tough St. Louis team to within inches of a Stanley Cup Final and has all the intangibles that Boston needs on the ice and in the locker room. I’m really excited about the attitude adjustment on the way and really feel he’s going to be a big get for the Bruins. At the same time, todays cap era NHL has turned free agency into an arms race to over spend. It’s the only way to get what you want on July 1st. NHL teams pretty much have their home grown talent under lock and key for the majority of the prime of their careers. After the entry level deal and restricted free agent years pass, it’s time to shed those financial chains. That’s when it’s time to cash in with fat no-trade-clause laden deals. And unfortunately smart hockey decisions like acquiring a talent like David Backes can be overshadowed by the economics of it all. Backes “should” be on a 4-year term considering his age and mileage but that just wasn’t going to happen. So now the Bruins have the right hockey fit in Backes on the back third of his career. If they get three expectation meeting seasons out of him it’s worth the extra “acquisition fee” that the tail end of the deal really is. Milan Lucic’s deal, to me, is probably the biggest disaster-slash-example of cap era economics. The Oilers need 4-5 real good years out of Looch’s 28-year-old frame to accept the “it is what it is” final two years of that deal. I don’t see that happening. What does management in Boston get to deal with in 3-4 years if things don’t go well with a then 35 or 36-year-old Backes? They’ll have a new young core of the team they’ve drafted looking to get their first real payday from the Bruins and an aging, maybe less productive David Backes in 2020 eating up significant cap space. Like Ryan Callahan in Tampa Bay clogging up their salary pipeline today, that’s the price you pay to get that talent. I think David Backes is worth it and in context of how free agency works today I can stomach the deal. I’m really looking forward to him lacing ’em up this fall as the Bruins take P.J. Stock’s #42 down from the rafters and pass it on to Backes like the Bourque/Esposito ceremony. It’s just unfortunate franchises today have to often over extend themselves to get the help they need. But unlike the Andrej Sekera and Alexander Semin contracts of NHL free agency lore, David Backes is worth it.